Ships tomorrow if you order in the next 19 hours 13 minutes. Get your kids a probiotic supplement from a trusted brand with a rock-solid guarantee. 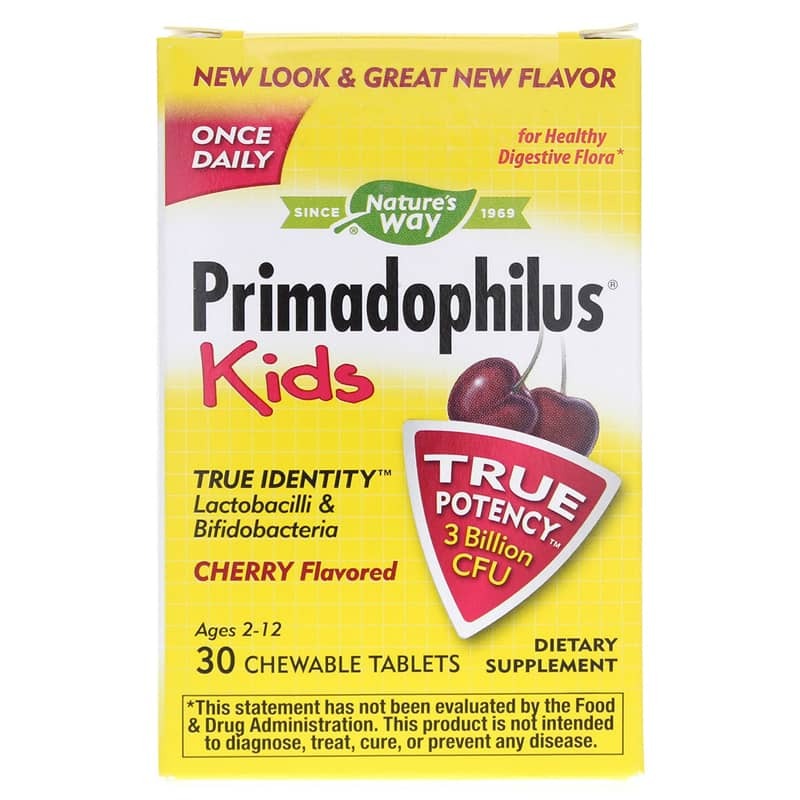 Primadophilus Kids Cherry from Nature's Way is a chewable probiotic made especially for kids between the ages of 2 and 12 years old. It includes three beneficial strains of gut flora with 3-billion CFUs (colony forming units) per tablet. Remember to keep your Primadophilus refrigerated so it maintains its optimal potency. When you choose this reliable probiotic, you're getting the True Guarantee of Primadophilus. True Release - Every capsule or Vcap is specially coated to increase the survival rate of beneficial bacteria in stomach acid. 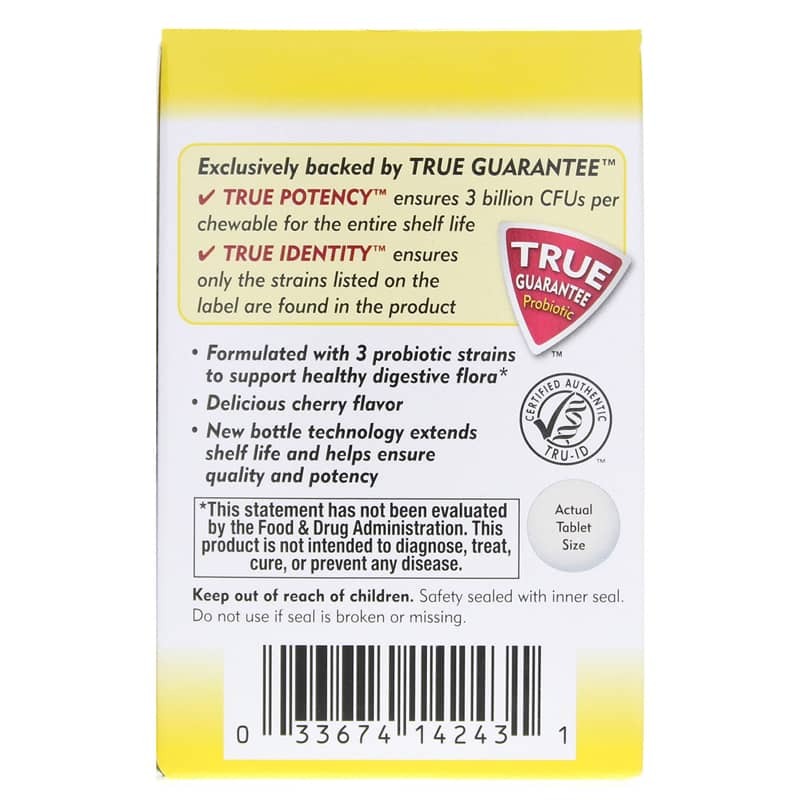 True Identity - Only the probiotic strains listed make their way into this supplement. Get your little ones Primadophilus Kids Cherry from Nature's Way today. They'll actually ask for these tasty cherry-flavored tablets! Other Ingredients: sorbitol, xylitol, cellulose, natural flavor, magnesium stearate, citric acid, silica, ascorbic acid. 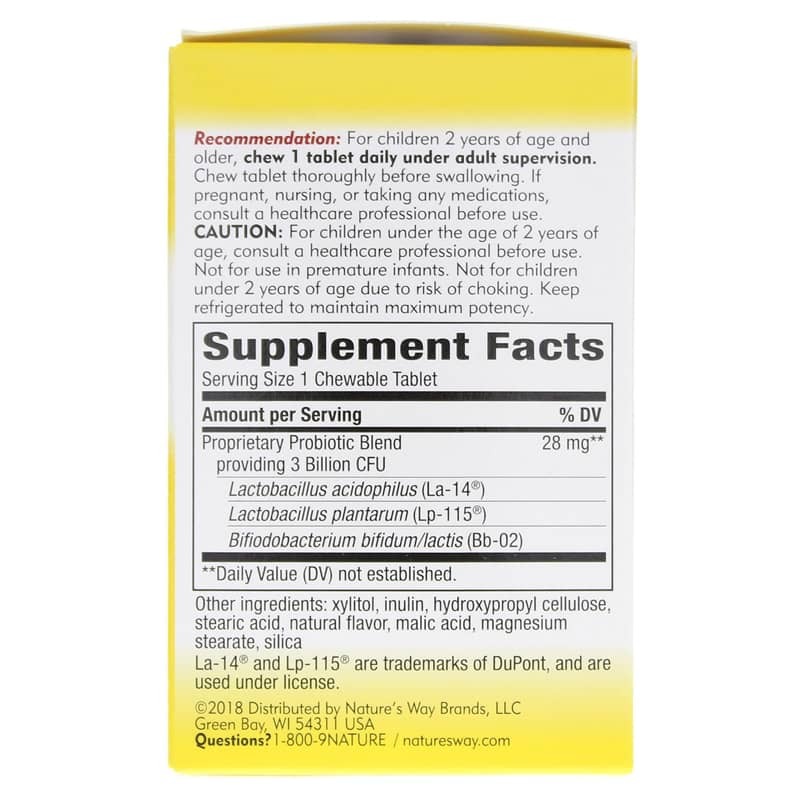 Ages 2 to 12: Take 1 tablet daily between meals. Keep refrigerated to maintain maximum potency. If taking any medications, please consult your healthcare professional before using this product. Keep out of the reach of children.